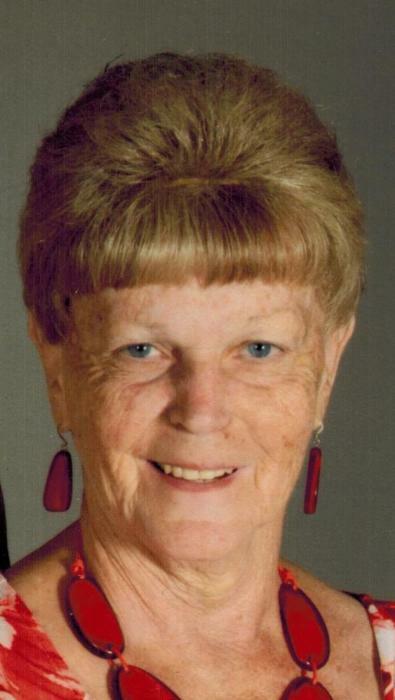 Dianne E. Schank, 75, of Tiffin, passed away Sunday evening, March 24, 2019 at St. Charles Hospital in Toledo. She was born on February 18, 1944 to Kenneth and Mary (Mosier) Deppen. She married Harold Schank on July 1, 1972 and he survives in Tiffin. Also surviving is a son, Christopher (LaVonna) Schank of Tiffin; five grandchildren, Dakota, Aiden, Aryana, Kinsley and Ashlyn; two brothers, Ken (Elva) Deppen and Jim (Kathy) Deppen; two sisters, Carol (Dan) Boies and Christine (Steve) Dendinger; and mother-in-law, Rita Schank. She was preceded in death by her parents, son, Nicholas Schank in 2017; and father-in-law, Arthur Schank. Dianne was a member of St. Joseph Catholic Church and graduated from York High School in Bellevue. She retired from St. Joseph Catholic School as the cafeteria manager and worked in the gift shop at the New Riegel Café. She volunteered for numerous organizations over the years, enjoyed trying new recipes, vacationing in Florida and visiting almost every county fair in Ohio. Spending time with family, especially the grandchildren meant everything. Her Mass will be Saturday, March 30, 2019 at 10:00 A.M. at St. Joseph Catholic Church with Rev. Joseph Szybka officiating. A Rosary will be prayed 20 minutes prior to Mass. Burial will follow in St. Mary Catholic Cemetery. In lieu of flowers and gifts, the family suggests memorials be made to the St. Joseph Cafeteria or to Stein Hospice.